Are you thinking to buy a new Xbox One but worrying about your existing games and game saves that are in the previous game consoles? What if we say there is nothing to worry about your games anymore and you can buy a new Xbox One console right away. Actually, there are many ways that can help you to move your games from one console to another without even spending a penny. In this article, we will be discussing all the ways to transfer Xbox One games to another Xbox One in details. You can choose the best one according to your preference. Whenever you buy a game, you actually buy the CD. Now you can just pop in the disc in your new Xbox and be done with it. However, while you play a game, over the course of time, DLCs are introduced in the game which is not included in the CD (unless stated beforehand). The DLCs are downloaded onto your console via the internet. So when you install an old game, don’t get shocked if you are unable to find your favorite stage because the DLC is absent. Once logged in to your account, XBox Live anyhow will force you to download all the updates and DLC before you can play the game. 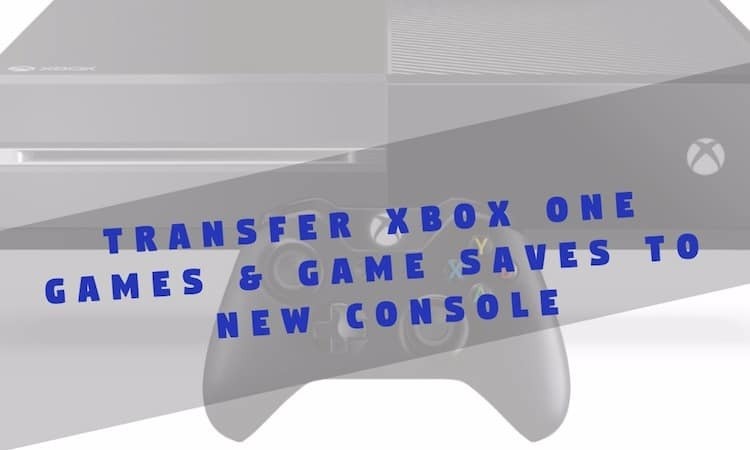 You can also transfer your games to a hard drive that you purchased on the internet or downloaded from the Xbox Store online. However, before linking the drive to your console, find out if it is compatible with your Xbox. Moving on, make sure to keep daily backups of all the games that you play, in your hard drive INCLUDING the DLCs. After buying the new console, connect the drive to the gaming rig and transfer all the files. Once you connect your drive, new console will detect the hard drive and add all the games to My App and Games area from where you can play them. This is advantageous in one particular way. You won’t have to download all the DLCs all over again since they are all backed up to your drive. A backup a day keeps the hectic downloads away. Let’s see how you can actually transfer digital Xbox One games to the hard drive after the below method. 2. Select My Games and Apps from right side of your screen. 3. Using controller, highlight the Game that you want to transfer and press Menu that will open few options. 4. Now, click on Manage Game from the list of options. 5. Once the console detects the hard drive, you will see Move All and Copy All that you can use to transfer your Xbox One games to the new console. Whenever you log into a game with your Microsoft account, you create a cloud backup in itself. So in a worst case scenario, if your console along with your backups and CDs goes kaput, you can just log in with your account into your new Xbox One and download the games all over again. This process is by far the lengthiest and takes a heck lot of time. However, if you want to use this method, have a look at the steps below that will help you to transfer Xbox One games and game saves using Microsoft account. 1. Press Xbox One Logo on your controller. 2. Select My Games and Apps from right hand side of your screen. Choose Ready to Install from the menu. 3. Select the game you want to download and press A on your controller. 4. Choose Install from the pop-up Menu. Select Install once again to confirm. That’s it, now the game will be saved to your new console. These are all the ways to transfer Xbox One games and game saves to your new console. So, choose the one that you find the easiest and let us know if you find any difficulty, we will try to solve it for you. Next articleWhat makes Panasonic Toughbook CF-33 the Toughest Laptop on the Planet?